Many students of the yoga tradition know that Sri Tirumalai Krishnamacharya (1888 - 1989) is credited with being the father of modern yoga, but most remain foggy about the details of his life and even foggier about the books he wrote. It is understandable why his writings aren't widely known. His books have not been published in the West, and some remain untranslated. The compositions themselves are opaque. Krishnamacharya (I’ll sometimes call him “K”) was a hybrid of the old yogi and new, and often composed his treatises in the ancient style. His language is suggestive rather than explicit, elliptical rather than direct. Reading him takes time to understand. Over the Christmas holidays a few years’ back, I had that time. Years earlier, I’d ordered the Yoga Rahasya (“The Secret of Yoga”) from the publishing house of K’s son, T. K. V. Desikachar. 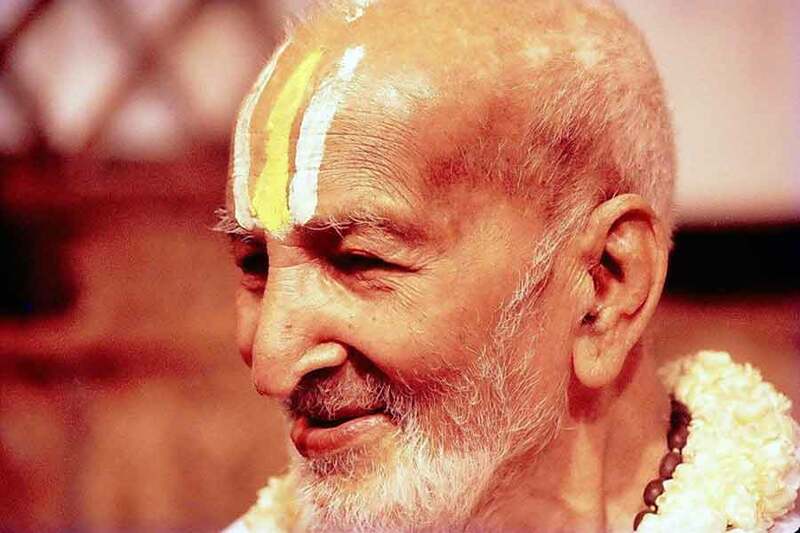 I wanted to know all of Krishnamacharya’s written works deeply, for his personal authority carries more weight with modern yogis than any other “traditional” writer, except the trinity of the generically named Vyasa (“compiler”) credited with the c. 325 Bhagavad Gita (BG), our well-known Patanjali, author of c. 375 The Yoga Sutras (YS) and Svatmarama, author of the c. 1450 Hatha Yoga Pradipika (HYP). The Yoga Rahasya (YR) is one of eight books by K.
One is an untranslated autobiography in Tamil, one is a commentary on the Yoga Sutras, two are books of spiritual poetry of about 30 slokas each, and four are compositions on yoga practice. The Yoga Rahasya belongs to the latter group. K claims to have “channeled” the Yoga Rahasya at the age of sixteen when he met an incarnation of the 1200-year-old saint Nathamuni, but comments by his students; his son, Desikachar; and analyses by scholars reveal that this is a modern work. K seems to offer a half-confession of this in his prelude, where he says, “I construct the essence of Yoga Rahasya to please the learned . . . I present here whatever I can recollect” (my italics). We have records of him teaching from the Rahasya as early as 1954, but he probably composed it shortly after experiencing childrearing and experimentation with postures for five or more years under the patronage of the king of Mysore. 1937 is a probable composition date. Publication happened in 1998 — nine years after his death. As I said, K’s writing is a haphazard echo of the pre-modern yoga Classics. Leaving aside some quotes, the commentary, and the opening invocation, the Yoga Rahasya consists of 277 slokas. These are boxed in 4 chapters, reminiscent of the Yoga Sutras and the Hatha Yoga Pradipika. Reminiscent of the Gita, chapters often change their subject abruptly and circle back to repeat what’s been talked about before—nearly word for word. Some believe this technique is an aid to memorization. It remains a useful technique for teachers who offer these texts to their students. Three aspects of this quasi-classic text make it novel for its era and provocative for practitioners today. It names a great number of poses. Many of which are strenuously athletic, much like today’s books on yoga. The era of the Rahasya was pivotal in Hatha Yoga’s history, and a vastly creative period for K.
Krishnamacharya belonged to a cadre of Indian physical culturists formulating a pared-down Hatha Yoga focusing on the therapeutic and athletic benefits of asana in the 1920s and 30s. The aforementioned Hatha Yoga Pradipika—the go-to Hatha text from pre-modern India—has—at most—24 poses (depending how you count). The Gheranda Samhita, a sister text from the 17th century, has—at most—39 (also, depending on how you count!). Looking to contemporary books, Iyengar’s seminal 1966, Light on Yoga has 200-plus poses, Dharma Mittra’s simple 2002 picture book, Asanas has 608 poses. Our greatest pose compendium to date, Gharote’s 2007 Encyclopedia of Traditional Asanas, has more than 900. From a historical perspective, this number isn’t unheard of, but it’s enough to make us take note. Not only did the Pradipika and Gheranda have a restricted number of poses, but they devoted much of their discussion to non-asana aspects of Hatha practice. K knew he was going out on a limb by making a great number of (often complex) postures central to his method so, good scholar that he was, he sought historical “cover” for his approach. 1:48: Eminent yogis have only shown a few asana-s as examples. 1:49: Therefore, who has the authority to count the number of asana-s? it is a reflection of his lack of knowledge. After this, the pose descriptions begin (with many suggested variations!). Why the dodgy debate technique? What made Krishnamacharya think he stood on slippery ground? In leaning on posture so heavily, K had few precedents to follow. We see this when we review books that had 69 or more poses before the YR. Some contemporary people think Hatha Yoga before our day leaned primarily on poses for its method, but it didn’t. Initiation, pranayama, internal cleansings and practices of unusual physical control received more emphasis much of the time. Of the texts existing in K’s day that gave emphasis to asana through sheer pose number, some were published books with greater or lesser circulation and some existed only in manuscript form. We’ll walk through these from most poses to least. The c. 1840 Sri Tattvanidhi, pictured 121 poses and was both owned and produced by the Mysore potentate K worked for. Around 1650, the Yogachintamani with 110 poses was composed, and the Marathi Eighty-Four Asanas of 1899 actually had 97 asanas. Many traditional texts that stick to an 84-pose list exist, and most—like Eighty-Four Asanas—are from the modern period. The main exception is the Khecarividya of Adinatha composed near 1400. Srinivasa Batta’s Hatha Ratnavali (circa 1650) looked at 84 poses, and both the 1737 Jogapradipika and c. 1850 Hastamudra Caurashi Asana of Nepal did, too. The Eighty-Four Asanas was bookprinted, but probably had a narrow circulation. K probably didn’t see it. The Tattvanidhi, Jogapradipika and Hastamudra were manuscripts. Their number and distribution were even more highly restrictive, and we can tentatively guess that even a polymath like K was ignorant of all but the Tattvanidhi. The books of his contemporaries—which he is likely to have known about—are also absent, but he probably left them unmentioned because they seemed unworthy of scholarly regard (see below). From the list I have given, only the Tattvanidhi is listed in the bibliography of his 1934 Yoga Makaranda. We’ll look a bit more closely at this bibliography below. The Makaranda’s list was probably produced shortly before the Rahasya was composed. It is possible that there are other pose-heavy books on it that informed the Rahasya, but we don’t know because many of them aren’t known to modern scholarship. Norman Sjoman said in 1996 that the Makaranda’s bibliography was a “padded [one] with works . . . that have nothing to do with the tradition he is teaching in,” but in a recent interview, the Sanskritist, Christopher Tompkins, reported, “I have uncovered evidence that these six Tantras [referenced in K’s Makaranda bibliography] contained the specialized and now largely lost ‘Vinyasa-Krama’ that Krishnamacharya attempted to revive.” Leaving aside the issue of vinyasa, we might guess that a new history of pose-breadth is revealed in these books, too, but—unexpectedly—Tompkins reports that only 6 poses are described in these early sequences. It is possible other texts on the Makaranda’s bibliography are pose-heavy, or that K knew pose-rich texts he didn’t name that are unknown to today’s mainstream scholarship. Be that as it may, with its complex inversions, arm balances, and standing poses, the Rahasya’s asanas are more athletic than any preceding classic yoga text we know of besides the Sri Tattvanidhi. Outside of classic texts, there were pose-rich texts written for popular consumption by K’s colleagues in his day, and these offer long lists of postures—some of which are also richly athletic—though less athletic than the Rahasya’s. The Rahasya probably postdates these books so K could have sought “cover” from them for his pose-focus, but the YR traveled under the guise of being ancient, and acknowledging his contemporaries would have revealed this other "secret" of the Rahasya. Like many of his colleagues, K established his skills as a malla (an athlete) in public exhibitions but his pile of university degrees distinguished him as a jnani (a scholar, or one seeking the Absolute through knowing. The Rahasya speaks to both demographics. Consistent with K’s predilections, he probably undertook the chore of composing a modern work supported by ancient authorities to serve the need in his day for athletic, therapeutic and health-maintenance practices as readily as to make a novel declaration within yoga’s centuries-old tradition of scholastic argument. The Rahaysa is probably the first book to discuss yoga for women. It specifically addresses women’s needs and gives us a yoga for pregnancy. The Rahasya is not as glamorous a Shiva Rea’s 2000 Prenatal Yoga DVD or even Geeta Iyengar’s 2010 book, Iyengar Method for Motherhood, but K supplies unique and trustworthy advice in this vein, and his focus on women is meaningful historically. His attention to infancy and women also helps us guess as to when the text was composed. “Women, when compared to men, have a special right to practice yoga. To support this conjecture, he devotes 58 of the book’s 277 teaching slokas (21%) to reflections on women, infants and pregnancy. K’s emphases in the Rahasya, his public statements, and his teaching activities situate him prominently within the company of Swami Vivekananda, Swami Abhedananda, Pierre Bernard, Sri Yogendra, Mollie Bagot Stack, Sita Devi Yogendra and Cajzoran Ali as the modern era’s most prominent early advocates of yoga for women. Despite his admirable focus, if we look specifically at the YR’s material on infants, much of it is pessimistic and absurd. K uses the c. 4th century Vishnu Purana (VP) as his source and probably takes cues from similar statements in the c. 8th century BCE Garbha Upanishad. The stylistic particulars of K’s dark view of infant life will be familiar to readers of the mukhya upanishads and other old texts where the body is described as a site for worms, feces, pain, and other unpleasantries. His material on women and/or pregnancy is more practical and easier to digest. Seventeen slokas discuss pregnancy. He recommends helpful poses and gives particular attention to pranayama for pregnancy. K had knowledge of pregnancy through his own prodigality. He had six kids! The first few he began raising in the 1930s. A man who labored in yoga’s avant garde while nurturing a new family, would naturally have reflections—in K’s case, deep reflections—on yoga’s best practices for mothers and pregnancy. Before the Rahasya, discussions of women’s needs are almost universally absent from books on yoga. The Rahasya’s nearest timely relation is distinguished as both the first modern yoga text authored by a woman, and the first text devoted to yoga for females: Sita Devi Yogendra’s Yoga Physical Education for Women of 1934. It likely pre-dated the Rahasya by three years. Though we have ample stories of female gurus and yoginis, it goes without saying that yoga mostly belonged to the society of male sannyasins and householders before the 20th century. Both health and spiritual advice in yoga texts had been either explicitly or implicitly addressed to men. Though asanas had been used in the health science of Ayurveda before the 20th century, beginning in the 1920s Krishnamacharya and others redirected a spiritually-focused Hatha Yoga toward the near-exclusive goals of fitness and health. To understand K’s particular Rahasya approach to this, we’ll compare the topos of modern yoga given there with that of two high-profile contemporaries. the sages of India. . . this Yoga-asana . . . perfects the human body . . .
and prepares it for . . becoming the God-man, the Jivan-Muktha. Whatever the object of the sages the perfection of the human body as a means to . . .
God-realisation . . . could they not utilise it as a system of physical culture? [sic]. With better writing, Swami Kuvalayananda’s 1931 Popular Yoga Asanas also juxtaposes old and new to give a modern typology. It does so by offering a classification of yoga practice. as well as physical culturalists wish to maintain the nervous and the endocrine systems . . .
with a larger object in view. He wants the nervous system to be . . . trained . . .
Krishnamacharya introduces a new yoga-for-the-body a different way. While Sundaram speaks as an athlete and Kuvalayananda, who did laboratory work on yoga, speaks as a scientist, Krishnamacharya speaks as an athlete, a devotee and a scholar. Like Kuvalayananda, he creates a classification system, but his styles of practice are attuned to the practitioner’s age. Yoga . . . can be divided into three types of practice. yoga must be accordingly practiced. The fruits of yoga . . . can be material (bhukti) or freedom from suffering (mukti). Those who are devotees of the Lord, praise Hari [the sustainer god, Vishnu] for the purpose of mukti. Others seek material benefit, which is not approved by the Sastra-s [scriptures]. In other words, no matter what kind of yoga you are doing in whatever stage of life, if you adore the Highest while practicing, your benefit will be mukti (liberation), but if you forget the Lord in practice, your benefits will be only material (like Kuvalayananda’s “Cultural” yoga). You will miss the boat. He wants you to keep Hari in mind, so that whether you are a youth doing yoga for athletics, or an adult doing yoga for health maintenance, you’ll still share in the aim of oldsters who do yoga for liberation. K unifies the categories of modern practice by featurizing them with the bhakti yoga of devotion (first firmly articulated in the Bhagavad Gita) and thence directing them toward the Highest. Consistent with his promotion of the householder path throughout his career, K explains that you can adjust yoga to whatever stage of life you find yourself in and still get the fruit of an ultimate sadhana (spiritual method). In these passages, the Rahasya speaks as the Gita does in several ways. It delimits the many yogas it describes by saying bhakti yoga is best, guarantees liberation through this method, and is particularly attuned to the life of the householder. Hence, the shift to a body-focused yoga that K both articulates and justifies in the Rahasya is only partial. Unlike Sundaram and Kuvalayananda, Krishnamacharya’s yoga of health did not cut the practice off yoga’s most advanced goals. Throughout K’s “Secret of Yoga” he foreshadows today’s practice while remaining faithful to yoga’s traditional aim of liberation. There is a breadth, freshness and faithfulness to the received tradition in K’s writing. These make the Rahasya a compelling patchwork of old and new, and a special window into Krishnamacharya’s thoughts in the period he wrote. The Rahasya is “secret” (rahasya) like a seed; the progeny of a great yogi, it contains yoga’s soon-to-be-prominent concerns in embryonic form. It contributes to our modern emphasis on athleticism, posture, and yoga for women. Speaking the language of the past, it addresses the pressing concerns of our living practice. Though thirty-seven works are attributed to K by some sources (see http://en.wikipedia.org/wiki/Tirumalai_Krishnamacharya ) many of these appear to be pamphlets and the like. Of his books, three of the eight, the Yogavalli (chapter 1, nd), the Rahasya (1998--posthumous), and the Yoga Makaranda (1934) have become hardcopy books in English. His pose-focused Yogasanagalu (1940), has seen partial English translation online ( http://grimmly2007.blogspot.com/p/yogasanagalu-translation-project.html ), a bootleg book of asana lecture notes by K titled, Salutations to the Eternal One circulates among yoga students in the know, and there is an autobiography in Tamil. Krishnamacharya Yoga Mandiram has also translated and published two chapbooks of K’s spiritual poetry titled Yoganjalisaram (1995) and Dhyanamalika (1998). Apparently, chapter 1 of the Yogavalli was published in Sanskrit in 1988, see Mohan, A. G., 2010, Krishnamacharya: His Life and Work, Boston: Shambhala, p. 134-6. In their most formal rendition, slokas are couplets of sixteen syllables. See Singleton, Mark, 2010, Yoga Body: The Origins of Modern Posture Practice, New York: Oxford University Press, p. 185, and Srivatsa Ramaswami, 2000, Yoga for the Three Stages of Life, Rochester Vermont: Inner Traditions, p. 18, and Mohan, p. 46, 120. For Desikachar’s comments on the book, see White, David Gordon, 2014, The Yoga Sutras of Patanjali: A Biography, Princeton: Princeton University Press, p. 232. 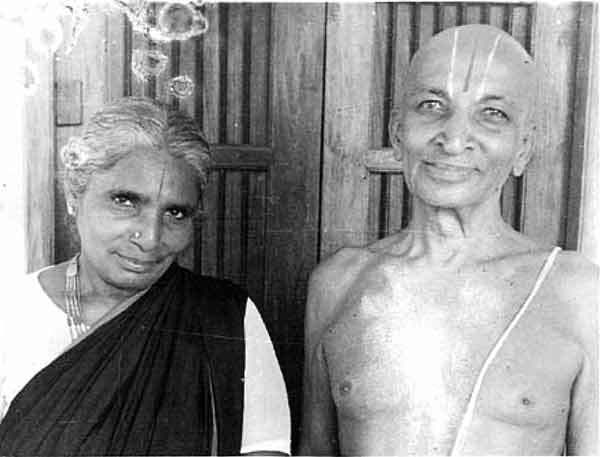 Krishnamacharya, Tirumalai, 2003 (1998), Nathamuni’s Yoga Rahasya, T. K. V. Desikachar, trans., Chennai, Tamil Nadu, India: Krishnamacharya Yoga Mandiram, p. 5. King Wadiyar IV. See Sjoman, Norman, 1999 (1996), The Yoga Tradition of the Mysore Palace, New Delhi: Abhinav, passim. Buhnemann, Gudrun , Eighty-Four Asanas in Yoga: A Survey of Traditions, New Delhi: D. K. Printworld, p. 36, 39, 65. We know he knew of these men, partly because he tells the story of a failed plan to gather them all in a mid-1930s conference to stanadardize India’s yoga practices. See Mohan, p. 80. Krishnamacharya, Tirumalai, 2011 (1934), Yoga Makaranda, T. K. V. Desikachar and E. R. Ramaswamy Iyengar, trans., Kausthub Desikachar, ed., Chennai: Media Garuda, p. 42. 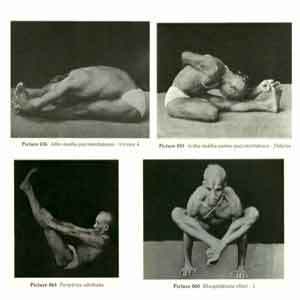 It is worth noting that we can trace K. Pattabhi Jois’ Ashtanga Yoga to the pose sequences found in the Makaranda. http://www.sutrajournal.com/christopher-tompkins-on-the-origins-of-vinyasa accessed 9 June, 2016. Sjoman says these were influenced by European athletics, passim. 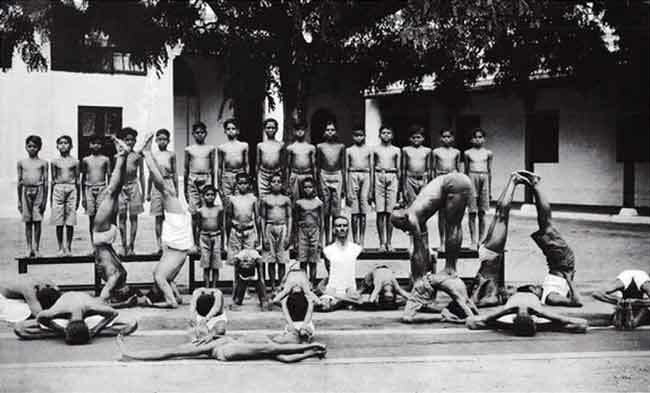 K’s colleague, Yogacharya Sundaram published his Yogic Physical Culture in 1928. Sri Yogendra published asana books in 1928, ’31; Swami Kuvalayananda published manuals in 1931, ’33, ’35 and ’36; and K. V. Iyer published asana texts in 1930, ’36, ’37 & ’40. Kadetsky, Elizabeth , 2004, First There is a Mountain, Boston: Little, Brown and Co., p. 81; and Iyengar, B. K. S.,Astadala Yogamala, vol. 1, 2007 (2000), New Delhi: Allied Publishers, Limited, p. 54; and Desikachar, Kausthub, 2005, The Yoga of the Yogi, Chennai, Krishnamacharya Yoga Mandiram, p. 99. Iyengar, B. K. S., Astadala Yogamala , vol. 6, 2010, New Delhi: Allied Publishers, Limited, p. 108, and Desikachar, K., Ibid. He also taught yoga to his sons, of course. Sri T.K. Srinivasan, (b. 1936) was well-versed in Yoga, and became an authority on the Indian philosophies of Nyaya and Mimamsa. His other sons are Sri T.K.V. Desikachar (b. 1938) and Sri T.K. Sribhashyam (b. 1940). He had a third daughter, Shubha, after 1940. As can be seen in the well-known 1938 Film of K and Iyengar. This clip shows K and his daughters doing asana on their own and with his assists: http://www.youtube.com/watch?v=b1eXiT-m5HY&feature=share&list=PLF60F76F5E8449C60, 12/14/2012. See also Desikachar, K., Ibid. For this reason, his storied resistance to teaching the Latvian, Indra Devi beginning in 1938, could not be because she was a woman—as is often claimed. Her European birth put him off, as well as the obligation for himself as a male Brahmin to refrain from instructing women outside the circle of his family. His politics mitigated against it too. He believed that yoga should remain in the hands of Indians. (See his quotes on this topic, Krishnamacharya, 2011 (1934), p. 83.) That said, we know he did relent and teach Devi—on the orders of his king and benefactor, Wadiyar IV--and he came to have love her dearly. The Mukhya upanishads, also called Vedantan, are dated from c. 800 BCE to 200 CE. They are a group of 10 – 17 books (depending on who counts) in which we get our first descriptions of yoga. This pranayama talk reflects a wider emphasis. Seventy-six slokas (27%) of the text in toto concern themselves with breath practice, its locks (bandhas), holds (kumbhakas), cadences, and aims. Mainly Sri Yogendra, Swami Kuvalayananda and their guru, Sri Madhava Dasa Ji. See, Goldberg, Elliot, 2016, The Path of Modern Yoga, Rochester, VT: Inner Traditions, passim. Sundaram, Yogacharya, 2000 (1928), The Secret of Happiness or, Yogic Physical Culture, Coimbitore, Tamil Nadu, India: The Yoga Publishing House, p. 3. Kuvalayananda, Swami, 1964 (1931), Popular Yoga: Asanas, Bombay (Mumbai): Popular Prakashan, p. 33-34. See Joseph Alter’s fine exploration of Kuvalayananda in Yoga in Modern India, 2004, Princeton: Princeton University Press, p. 73-108. In this K is following the classic Ashramas, which give us four stages of life, Brahamacharya, Grhastha, Vanaprastha (forest monk) and Parivajaka (wandering monk). These last two are subsumed under his rubric of “Sanyasi.” Depending on which authority we follow, each stage is said to cover 20 – 25 years. Ibid, p. 21. Bhukti indicates the pleasures of this life. Eric Shaw, MA.SE MA.RS MA.AS, has studied yoga and meditation for 30 years and taught both since 2001. He maintains a lively international teaching schedule and is the creator of both Prasana Yoga — a form that reveals alignment in movement — and Yoga Education through Imagery — lecture programming that teaches yoga’s traditions through archival imagery and new scholarship.